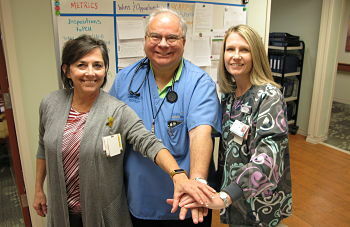 Dosher Memorial Hospital is proud of its focus on quality care. 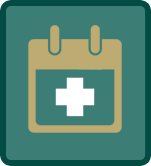 Dosher has among the lowest post-operative infection rates in the State of North Carolina, has received national respiratory care quality awards, and has the distinction of full accreditation in all of its diagnostic imaging modalities. New for 2018, Dosher has earned full accreditation for three years from DNV GL - Healthcare. 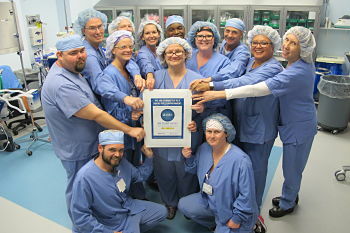 Dosher has earned a second national award for eradicating surgical smoke from our operating rooms. This time by the Association of periOperative Registered Nurses (AORN). 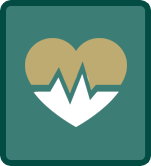 Dosher had one of lowest readmission rates for patients with pneumonia and heart failure among 2,200 rural hospitals in the U.S. in 2017. For this achievement, the National Organization of State Offices of Rural health presented Dosher an Excellence in Outcomes award for the second time in two years. 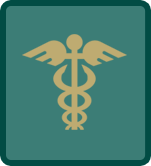 After delivering a "heal rate" of 97 percent in 2017—the third straight year of 90 percent or higher—Dosher was recertified in 2018 as a national Center of Excellence for wound healing by Healogics®, the leading wound healing authority in the U.S.
Another award-winning service is our Emergency Department. 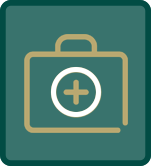 That staff has delivered consistently high patient satisfaction scores for two years running, and for this, two national healthcare organizations—Press Ganey and The Studer Group—recognized our quality of care. 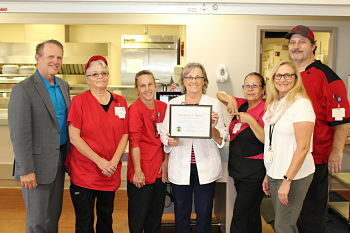 Dietary staff earned the "Platinum A" award from Brunswick County Health Department for earning a cleanliness and sanitation score of 95% or higher for five straight years. Some of our other state, regional and national recognition has come from the American College of Radiology which reaccredited our mammography unit. 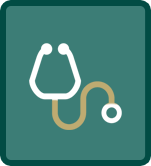 The Joint Commission national healthcare regulatory agency named us a Top Performer for surgical care. 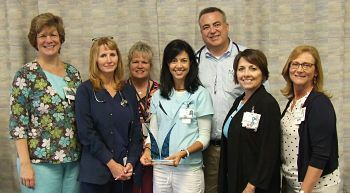 Press Ganey patient satisfaction and measurement firm presented Dosher a Guardian of Excellence award for delivering high levels of care for pneumonia, congestive heart failure, surgery, and deep vein thrombosis (formation of blood clots in veins). Hospital Consumer Assessment of Healthcare Providers and Systems named us one of the top two critical access hospitals in the state for patient room cleanliness. Readers of Southport Magazine voted us the best hospital in the county.